Enjoy a two hour free-flowing pizza buffet! Add customizable appetizers to make it a feast! Click here to check out our full event menu! If a per-head package is just not to your liking, we are happy to arrange anything from our event menu served family-style. Pizzas can always be ordered a la carte, in any quantity. Contact us to make some menu magic happen! Consumption tabs, drink 'tickets', full open bar or guests paying on individual tabs — You tell us what works best for your beverage needs! Check out our frequently rotating draft list here! HOST YOUR EVENT at CLARKVILLE! 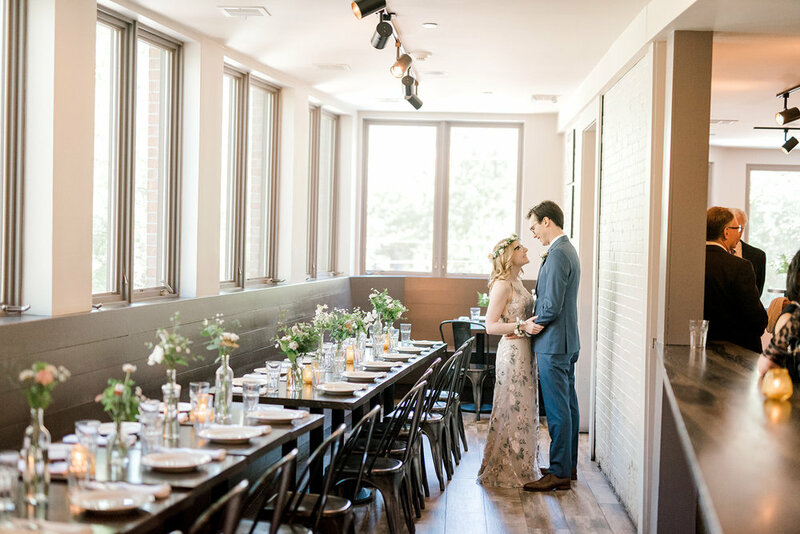 Clarkville's second floor bar and dining room is the perfect place to host your next event! We'll work with you every step of the way to customize your perfect gathering! Fully private parties include low buy-out minimums and semi-private bar events are absolutely free to book (no room fee or minimum!) Private events that end before 5pm require no minimum! Easy online depositing and lots of personalized attention make booking your next event with Clarkville a breeze! Semi-private events are held in our second floor bar and are available without any minimum or room rental fee! Room rental fees & minimums are based on availability of the space and the date of your event! Email us to check dates and availability! We can't wait to help you plan a great event!